New Rochelle is a suburban city north of New York City. Due to its many inherent strengths including a central location less than 20 miles from New York City, exceptional transit options on both road and rail, talented and highly diverse population, urban scale and density in the downtown, and numerous anchor institutions, City officials have established a very ambitious economic development plan. 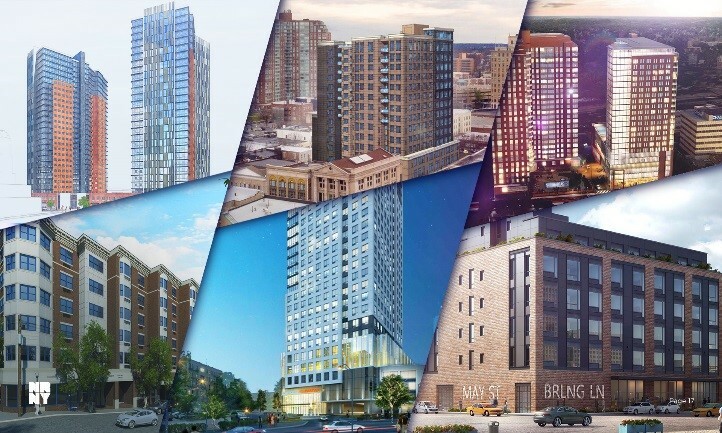 NDC provided economic development advisory services that have helped the City approve over $600 million in development, just in the last two years. Updating the Uniform Tax Exemption Policy (UTEP) – Industrial Development Agencies in the State of New York can provide tax benefits to developers and businesses. Financial assistance is governed by a UTEP, NDC assisted the City’s IDA update the UTEP in order to provide cash flow predictability and mitigate early year market risk. NDC also provided recommendations for the UTEP as it relates to property tax abatements that encourage the development of live/work space and affordable housing. The updated UTEP now provides developers and businesses with precise schedules and predictability during the development process. Review ﬁnancial terms of proposals for pubic assistance – The development and investment community have enthusiastically responded to the articulated development vision new zoning code, and tax incentive policies. In the last two years, NDC has reviewed and provided economic justification for incentive packages for $600 million in approved developments. For each project, NDC has completed a “but-for” analysis to determine need and ensure positive public cost-benefit. The objective financial and expedited land-use review process has drawn praise and expressed interest for further development. Public-Private Partnership (P3) Advisement – The City’s Department of Public Works occupies a 12-acre site on the City’s waterfront. The City has been seeking to relocate the DPW facility to an alternative site for over a decade. NDC assisted the City with a public –private partnership (P3) development that will result in a newly constructed DPW facility and open up the waterfront for a $150 million mixed-use development. NDC’s plan involved a lease – leaseback between a private developer, the City, and the Local Development Corporation, and the issuance of tax exempt private activity bonds. The City incentivized a private developer to build the DPW facility on the ground floor of a $70 million mixed-use project. The City estimates that the P3 structure provides savings in excess of $5 million in capital costs.